Home » Our Doctors » Kelly Robertson, O.D. Dr. Kelly Robertson received her Bachelor of Science Degree from the University of Nebraska-Lincoln in 2000 with distinction. She graduated with high honors from the Indiana University School of Optometry in 2006. She received both the Beta Sigma Kappa International Optometric Society’s Certificate of Achievement for four years of academic excellence, as well as the Essilor Optical Corneal Reflection Award for excellence in dispensing skills and rapport with patients. Her externship experience included rotations in Indianapolis, UNMC-Omaha, and Offutt Airforce Base. 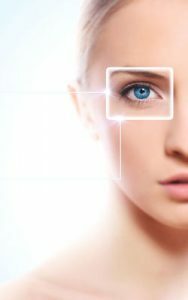 Dr. Robertson is an active member of the American Optometric Association including the Cornea and Contact Lens section. 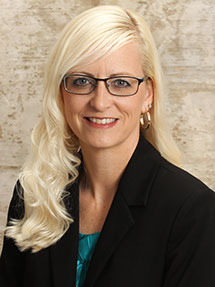 She has been providing comprehensive eye care with Professional Eyecare at Oakview in Omaha since 2006. She resides near Gretna, Nebraska, with her husband, Gabe, and their two young daughters. Schedule an Eye Exam with Dr. Robertson at Oakview.